Register at camfere.com to get $5 Coupon and 100 points. 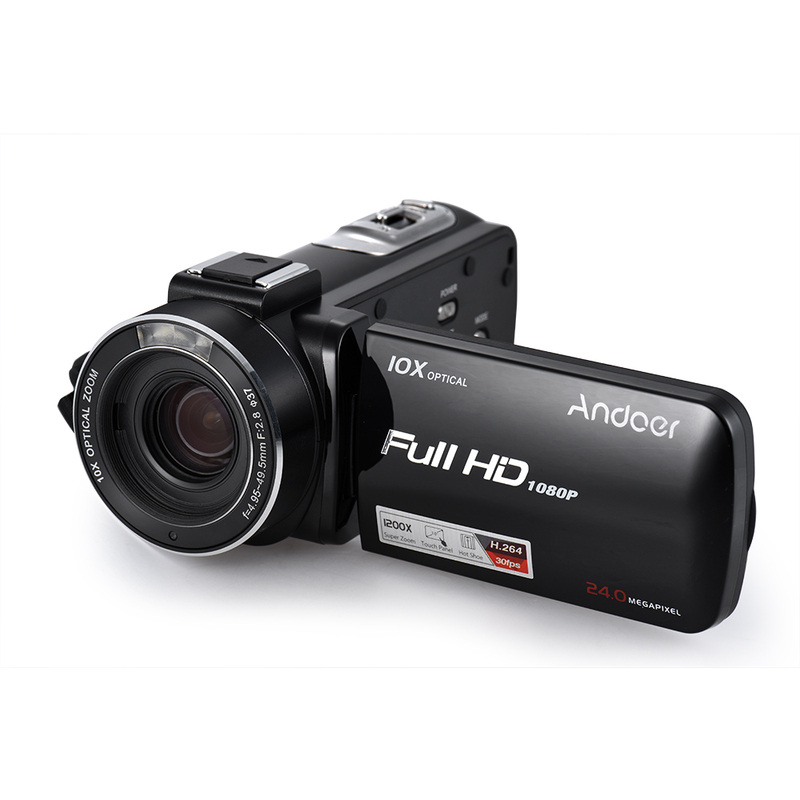 ☆ Thank you for purchasing Andoer Z82 Digital Video Camera. 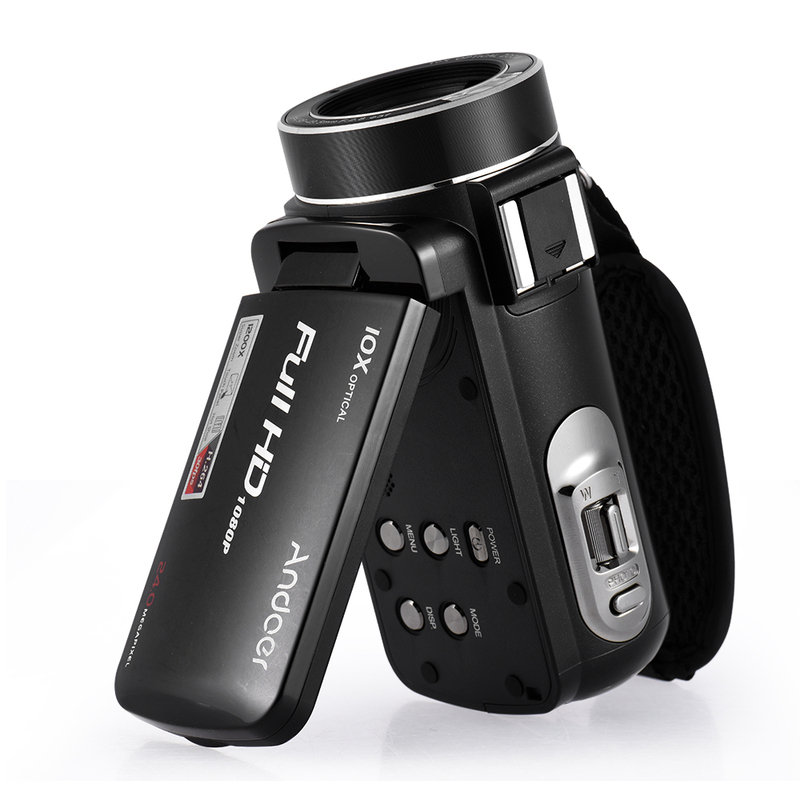 With the DV camera, you can record video clips and also take still photos solely. You can enjoy 24MP photography, 1080P video shooting, 10X optical zoom, built-in 2pcs LED light and multi- functional remote control. The 0.45X wide angle lens will offer a wider vision for taking more beautiful scenery. Top hot shoe mount enable you to use external mic. 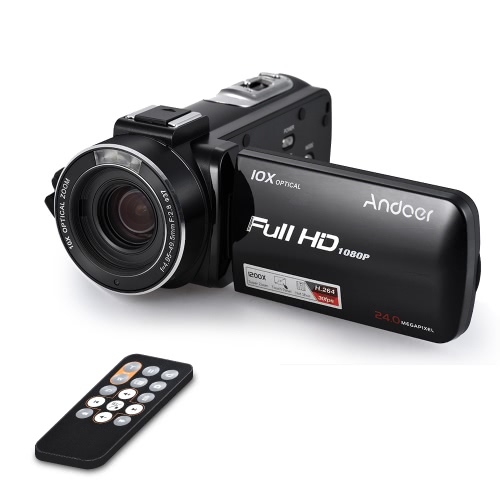 Experience 1080P 30fps full HD video shooting and max. 24MP (interpolation) high definition photography. Support Face Detect/ Anti-shake/ Continue Shot/ Self-timer/ Macro Photography. A φ37mm 0.45X wide angle lens will offer a wider vision. 10 times optical zoom and 120 times digital zoom, magnify the image from remote. Built-in 2pcs LED light enable you to shot bright image at dark condition. A multi-functional remote control, effective distance up to 10m. With standard 1/4" thread on the bottom for tripod mounting. Item Size: 12 * 5.4 * 5.1cm / 4.7 * 2.1 * 2"
Package Size: 19.5 * 16.2 * 10cm / 7.7 * 6.4 * 3.9"
Memory card is not included, and class 10 or above is highly recommended. Batteries of camera and remote control are insulated for secure delivery. Please remove the insulation paste before using the devices.